In the popular 1960s song “The Girl From Ipanema,” a young woman walks toward the sea, staring at its beauty and totally unaware of the man vying for her attention. But last week, there was a new reason to stop and stare along Ipanema Beach, and it had nothing to do with natural beauty. 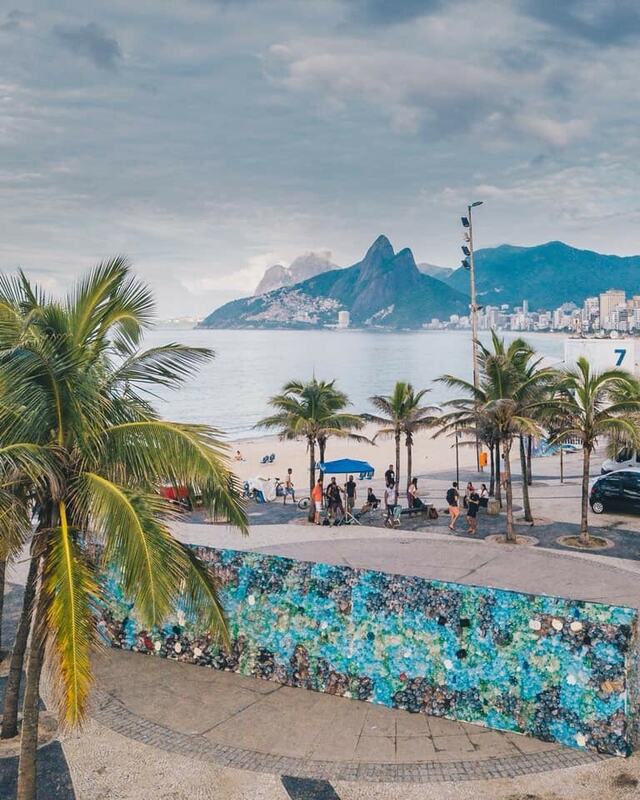 Part of the famed Rio de Janeiro beach was blocked by a 49-foot-long wall standing more than 6 feet high and made entirely of plastic garbage gathered over three days along Ipanema. 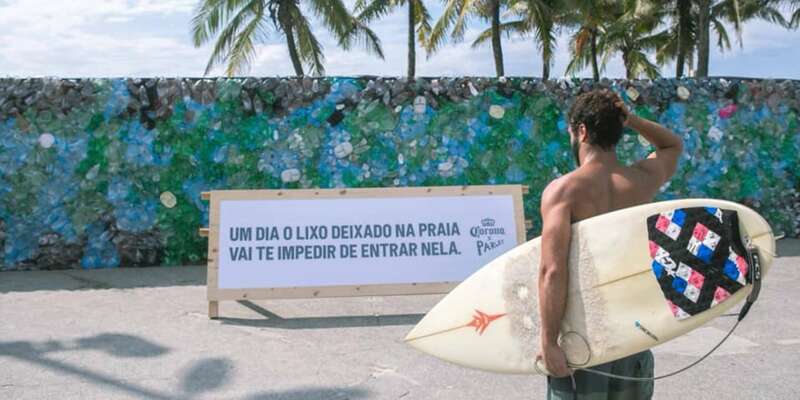 “One day, the trash left on the beach will stop you from getting into it,” said a sign in front of the wall, an activation created for beer brand Corona to promote its partnership with environmental nonprofit Parley for the Oceans. Plastic has become such a growing scourge of ocean life that a dead, pregnant whale recently washed ashore in Italy with 50 pounds of plastic in its stomach. Brands and advocacy group have increasingly taken up the issue, with Bacardi recently petitioned the Unicode Consortium to remove plastic straws from emojis as a way of highlighting the need to transition away from single-use plastics like straws. 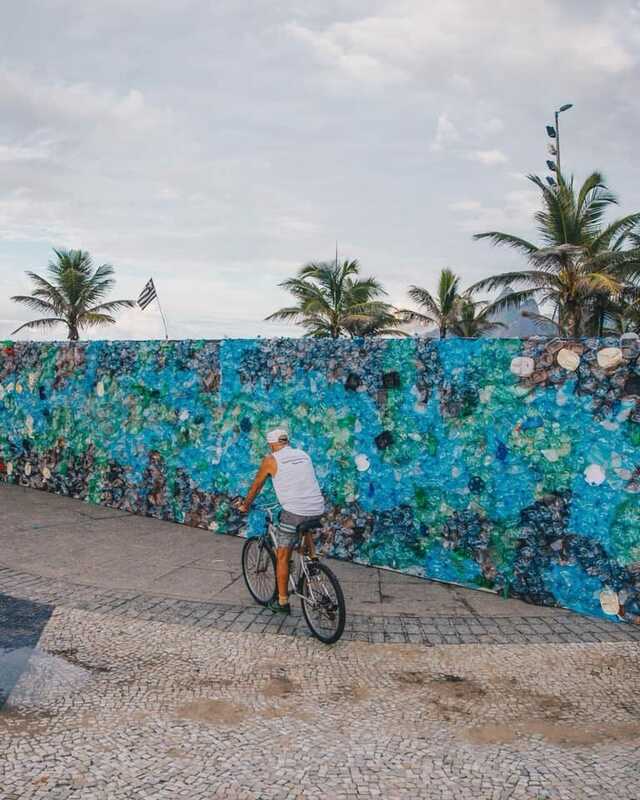 The Ipanema wall was created by agencies Suko and Mutato, which note that there will be more plastic than fish in the sea by 2050, according to the Ellen MacArthur Foundation and the World Economic Forum.